It's time to get real. Being completely honest, blogging was never anything I saw in my future and definitely not apart of the career plan I painstakingly 'carved out' for myself whilst in my third year of University. I had my heart set on working in the Fashion/Textile Industry as a Designer, after years of watching TV shows and fashion shows. This blog was never intended to be such a big part of my life and when I started it, I never in a million years would have thought that almost 3 years worth of hard work would lead me to where I am now - being a full time Airsoft blogger. As many of you will know, Femme Fatale Airsoft is my own 'Phoenix from the Ashes' story. It was something I created in the darkest time of my life to give me something to live for. The loss of my graduate fashion job, a car accident (which left me with both physical and mental health issues) and a deeply unhappy relationship created a need for an escape from reality, a creative outlet. Whilst scouring Airsoft blogs and YouTube channels for gear recommendations for when I was able to start playing again, I noticed a severe lack of information geared towards women and thus FFA was born. Now admittedly I was a newb, I'd only been playing for 6 months when the blog started so it's been a steep, steep learning curve and 'growing' as an Airsofter in the public eye has been both a baptism by fire and a gift. Do not misunderstand me though, I am not looking for sympathy. Femme Fatale Airsoft is my proudest achievement and it has changed not only my life but me as a person. As FFA has grown, I have become more and more conscious of how I use my platform and I am hell bent on ensuring that everything the blog is makes not only myself proud but makes those who encourage and support me day in and day out proud as punch too. Which has meant in the past I have been fiercely defensive about protecting my brand, myself and of course my girls - something which has improved over time and with age. One thing I am super proud of is is that the blog has also given me a platform to help others. From raising money for the Pilgrim Bandits to help injured veterans to fundraisers for Sport England and #ThisGirlCan to help get more girls and guys of all ages to start actively playing sport to live healthier and more confident lives, this blog has helped me make a difference. I have always been grateful for the amazing support that I have received from the Airsoft community, so to everyone who has read my content, shared, liked, commented and chosen to follow me on this crazy journey I have embarked on, thank you from the bottom of my heart. You enable me to live my dreams day in and day out - for that I am and always will be incredibly grateful. 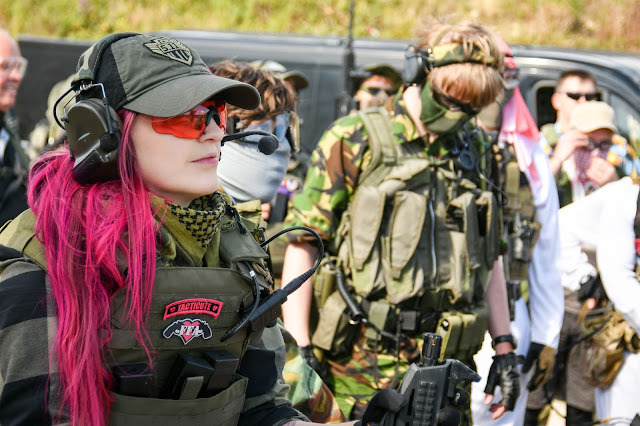 To me Femme Fatale Airsoft represents encouragement, support and positivity. I want to keep the blog a place where Airsofters can visit and find exactly that. Whether you want site recommendations, gear recommendations, dos and don'ts, kit lists etc you can find it on FFA. I am not a blogger who will use my platform to slag off brands, products and spread negativity which is why you will rarely see a bad review published on here (they do exist, trust me! haha). Any products I would not recommend are simply sent back to the shops/companies and they do not make it onto the blog, for the reason that I want to keep the blog a place full of things/places etc that I recommend and would be happy to part with my hard earned cash for. I will always be truthful and honest about the motives behind a post so if they are sponsored, I will let you know. This is my promise to you. When I quit my full time job in January 2017 to pursue blogging full time I decided I was going to build an empire. I know a few of you will have read the title of this blog and thought 'she's finally quitting!' and jumped for joy but in fact it is the complete opposite. This post is my promise to you. A promise of more. More blogs - gear, kit and sites that you want to know about, more vlogs and livestreams so you get to see more of who I am behind the gear and social media posts, more YouTube videos from game play to reviews and everything in between. 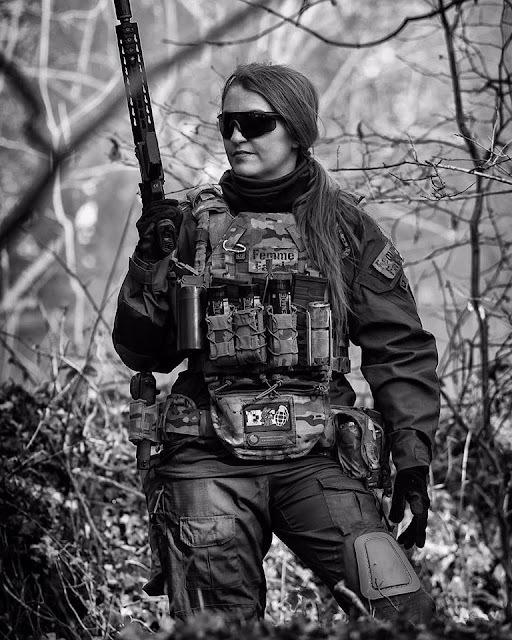 Femme Fatale Airsoft is no longer just a hobby, it is my life and I hope you will join me on the next part of this crazy journey, as I travel to the United States. Good luck chuck, have a good one in the states!